I am SUPER excited to share my new recipe with you all. My husband and I had our first garden this year and grew some very very large zucchini. I got the idea to make pizzas with them because they were so huge! Cut a large zucchini into half inch slices. Top with mozzarella (or other cheese) and pizza sauce. I was so impressed with my made up recipe because they literally taste exactly like pizza. You cannot even tell that it is not bread. My husband and I were SO full after eating these. Will definitely be making these again! Also, these are perfect for people trying to lose weight or on a low-carb diet. They are very low-cal and made mostly of veggies. My husband kept raving about these pizzas too! Great success! 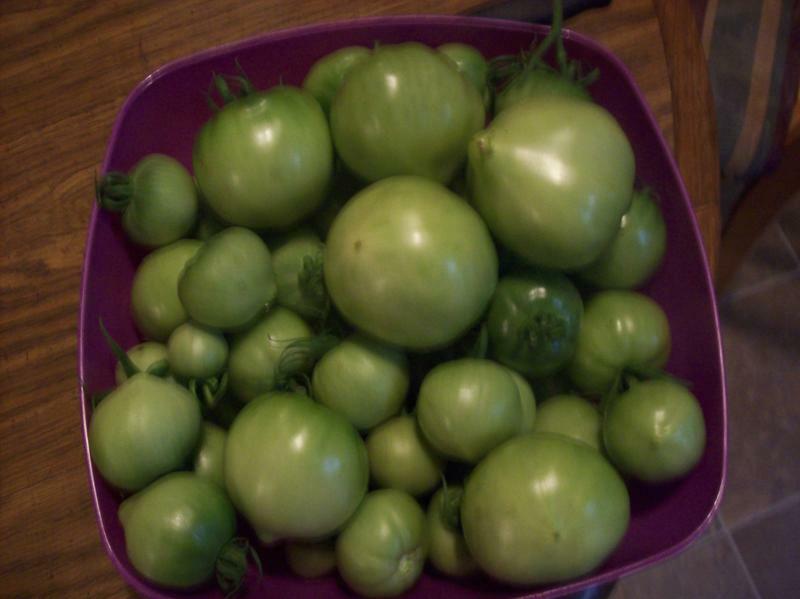 Also, we had to pick most of our home grown tomatoes green because the plants grew so big and the branches were braking off. 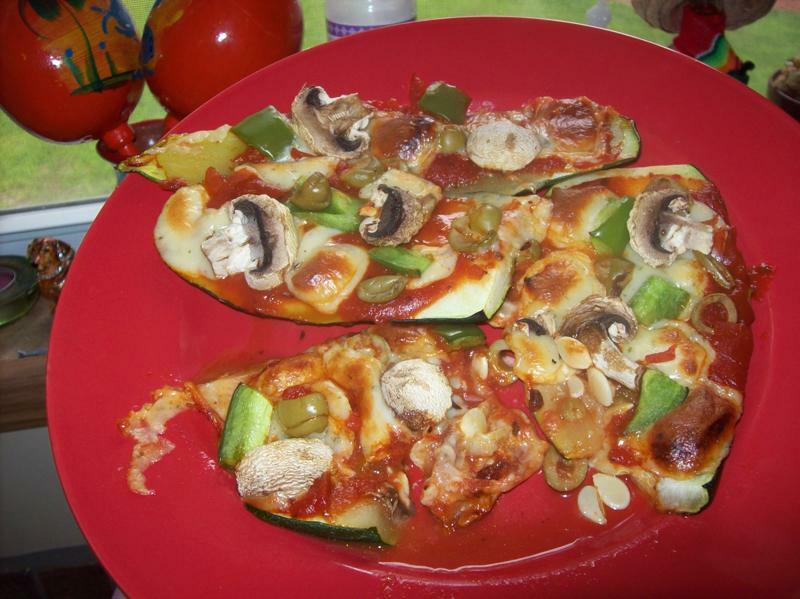 I'll have to try those zucchini pizzas sometime - they look quite tasty to me :-). Thanks for sharing! I am printing this off/bookmarking this recipe! Looks as good as it must taste!